First, I would like to say that this Blog about Princess Diana is so personal that I still have a really difficult time-sharing it with the public. When it was posted on my MySpace page I even considered deleting it from my Blog section. It still bothers me a lot emotionally just to read it for the 100th time. I know that Christmas is coming around and I believe that I may once again receive another message from her. Many of the events surrounding her murder have been printed all around the world but there are a few things that have been left out or censored by the family. She was murdered and that will come out in its own time, but right now it doesn’t matter to her because she has moved on in Spirit and is working to finish her charity. My story of Princess Diana’s visit is only being shared here because it’s something that is greater than anything I could do on my own. I usually don’t have unannounced visits from Spirits, much less Royalty, so this story is about her and what she needs all of us to do to help in her mission. At a time of great economic distress all around the world, her message is more important than ever. Please take a little time this year to help those close to you that are too humble to ask for your help…especially our little children.. I went to bed early on Christmas Eve 2008 due to a busy week and after several hours of sleep Princess Diana appeared to me in a vision sitting on a bed with children all around her. While I recognized her in the dream she seemed calm and wanted to give me something so I reached out my hand to her and she placed a silver/light blue charm of a sailboat in my hand. The charm kept changing from one design to another before I put it away in my pocket. I didn’t know what the charm meant but she said she needed my help since her children were not being taken care of and she wanted me to do something to help ‘continue her work’ for them. Later that night in another dream, someone asked me to sell them the same charm that Princess Diana gave to me. I didn’t want to sell it to him because it was given to me as a gift and it was not completed yet since I needed to figure out what I needed to contribute to its finished form. Princess Diana then re-appeared and ask me to complete the design of the charm and sell it for her so the proceeds could be given to help those needy children that didn’t have any toys for Christmas, or were sick. She told me to design a Sailboat charm and it would be blessed by her so that any person that received it will get their wishes fulfilled for a donation to her charitable cause. She told me that I was to wake up at 9pm and start working on this project for her tonight. I continued to dream about other things and then I heard a small child’s voice from a nearby apartment which was rare and someone running and screaming as they played. Because the child was making so much noise I decided to wake up and when I looked at the clock it was exactly 9pm. I decided to get up and make something to eat when all of a sudden I was overcome with emotion and tears as I felt what seemed like someone forcing me to bow my head & close my eyes. I saw Princess Diana again with a sense of urgency and she asked me to start looking for pictures of the Sailboat that she described to me at once since she wanted me to post this Blog before Midnight Christmas Eve. After a period of time looking at many designs of Sailboats on the internet I decided to look for Princess Diana’s charities with a Google search. I typed in ‘lady Diana charity‘ and the first entry was: ‘The Diana, Princess of Wales Memorial Fund’. When I tried to access the site it would not come up so I went to the URL of ‘www.theworkcontinues.org‘ which was a strange name considering the dream I had of Diana and the theme she told me (continue her work). When I did a little more research I found another site by the name of ‘www.theworkcontinues.org.uk‘ that did come up but none of the web site links worked at that time. After several hours I was able to access the page and see the full contents. I now understand some of what Princess Diana wanted me to do by way of setting up a charity for children and I will revisit that once I can make all the arrangements. The second thing that she asked me to do is notify all my friends on MySpace not to forget about all the children that won’t have a Christmas this year due to ‘hard-ships‘ (hence, the image of a sailboat) that were placed on their parents/caregivers around the world. She asked me to remind everyone to continue to pray for those less fortunate than ourselves and to donate any unused toys that were received as gifts or any duplicates of toys to shelters where children are housed throughout the coming year. I’ve never had a visitation from Princess Diana before and I’m sure her message has something to do with problems with her charities in the UK. She told me that her message of helping children has not been heard and she asked me not to make public the reasons why that has not happened. 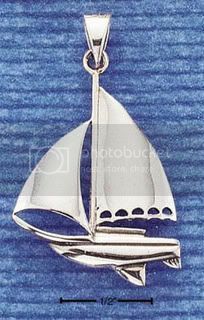 I have an image of what the Sailboat Charm will look like and in the future I will post a picture of it when I can design one. .This is something new to me since I’ve never designed jewelry before and I’ll have to figure all of this out. I already know why she wanted me to hand make the charms since I’m already familiar with how healing energy is transferred to anything that is made with your hands. In the past 2 months everyone that has worked with me and donated to my work has received either personal healing and/or financial gain, some within hours of a reading or contact with blessings from the Angels connected to this site. There has been a new guiding hand working with me during this time and I suspect it’s connected to the request made by Princess Diana. I don’t take credit or responsibility for any of these healing events since I’m just the messenger and the Angels work through me to bless those in need. While I do understand my role in working with others, I don’t determine when or how these Blessings will occur. Please donate to the charities of your choice where the most good can come to children in need, either to local shelters or Organizations such as St. Jude Children’s Research Hospital (www.stjude.org). The Donation DOES NOT have to come through me, I’d rather you chose something in your own hometown or neighborhood so the Blessings will come to those around you! My wish to you is that everyone that reads this Post will receive a personal Blessing from Princess Diana as much as I have tonight and for Christmas Day! I am truly humbled & at a loss of words right now for this amazing experience. Hi, thank you for sharing your lovely story with us. I believe its authenticity without any doubts, due to my own experience. According to what I know about Diana, she was indeed Queen of hearts. And she is still trying to take care of the vulnerable of this world in a subtle way. God loves her, and in due time, HE would let us know why she was taken away on that night. Her death was not meaningless. May I humbly address the adorable Princess Diana at her present abode where she has found permanent solace and true peace. With a heavy heart I respectfully ask her to intercede for me for the realization of a project that involves care given in the fields of Obstetrics-GYN and paedriatics. Princess Diana’s care and great concern for children in need, including ”her boys” is such a magnanimous gesture that I’m so overwhelmed that I am now encouraged to ‘continue the work’ in my home town where the need is so great that words cannot describe my hunger to reach out to people of any ethnic group who live in dire need of basic commodities. 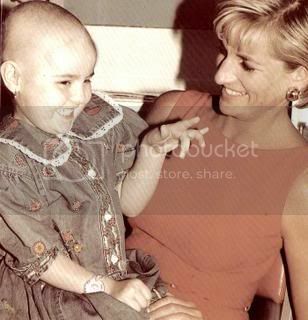 Diana’s concern for the underprivileged has galvanised this maxim: CHARACTER IS HOW YOU TREAT THOSE WHO CAN DO NOTHING FOR YOU. Thank you so much for your heartfelt comments on Princess Diana of Wales and I’m sure that she accepts your love and devotion more than I ever could. Your commitment and love for children is evident and I agree that more needs to be done to protect and serve those less fortunate in our societies. I send Many Blessings and Love for your journey of awareness, compassion, and healing for others.. Thank you for sharing this experience. I know first hand how difficult it is to share something so personal, yet so public. I use to have dreams of earth’s destruction and when I told them to people they would get scared and judge me. However, I stopped having those dreams out of fear. They terrified me too….I couldn’t understand their meanings and the worst part the opposite force tried to kill me literally!!! Right now, I do not have the time to make the charms anymore and probably will not in the future. Hi thankyou for sharing ur experience with us, it is just beautiful to know she is still around wanting to help thoes less fortunate. I would like to order a charm as well if they are available. It may inspire me to continue on my journey and stop asking to go home. I would very much like to order the SAILBOAT CHARM TOO. Gice me the website where I can order. Thank you and God Bless you all. This in one of the most bizarre and interesting experiences that I’ve had and I never really wanted to tell anyone about it but I was led to share it with my readers. I still feel a connection with her and haven’t really resolved all of my emotions connected to this event even up to now…I’m just absolutely moved that she came to me for this message and wanted me to share her thoughts…..
Get in touch with me at (WorldPsychic@email.com) for more info on the boat charm..
We did a lot of very serious! psychic work. When we had trance sessions or automatic writing sesssions we were kindly allowed to ask – non spiritual earthly – questions. One of them was about Lady Di. They would not tell us if she was mudered but gave us the information that she has incarnated again. The soul incarnated as a female again, born in the later part of 1999. In case you did not know; there is no time in the spirit world. You can incarnate to Jesus times if you like. But you could never be a famoust or well known person, because you can’t change history. You can incarnate as an ordinary person. In case someone is interested. Once we wanted to speak to Elvis (around 1994) . Surprising answer: sorry you can’t talk to him because he is stil alive. Last message around 2005: he is ill and will pass away soon. The 33 day Pope came once through after talking about him earlier in the day. He told us that, yes, he was mudered, but would not tell us by whom. We asked if Michael Jackson abused Children. The answer was that he would never harm children; no he did not ever abuse children. We asked about Hitler. They told us that he regretted very soon what he has done and incarnated again in South America, where he lives in the slums. Your insight and work is fascinating and thank you for sharing it with all of us. I am taking a course in “Interactive Media & Web Design” I hope to be able to help with any web site with this cause. I being train in Adobe Dreamweaver at the online collage plus many Adobe software. I like to help build the web site use Dreamweaver, knowing that it up to spirit that I be call upon. Any question about this is welcome, I will work on geting that information to. The URL at the top is my church I go to and I be doing that one when the time is right. Next post: Things To Do Before & After A Storm Or Emergency!